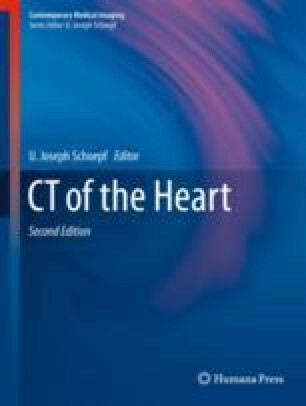 Cardiac computed tomography (CT) plays a pivotal role in the diagnostic pathway and risk stratification of patients with metabolic disorders. In patients with diabetes mellitus (DM), there is strong evidence that the presence of coronary artery calcium (CAC) is associated with increased risk in developing significant coronary artery disease (CAD); moreover, the severity of CAD is related to worse outcomes. In Gaucher disease (GD) the role of cardiac CT is valuable in the evaluation of valvular and intramyocardial calcification, while in mucopolysaccharidoses cardiac CT is helpful for the evaluation of coronary artery narrowing and valvular pathology. Cardiac CT can assess for the presence of CAC in both alkaptonuria and cystinosis. Furthermore, in alkaptonuria the assessment of valve morphology is valuable in cases of calcific deterioration. In obese patients, cardiac CT can evaluate the presence of CAC and is able to quantify epicardial adipose tissue.